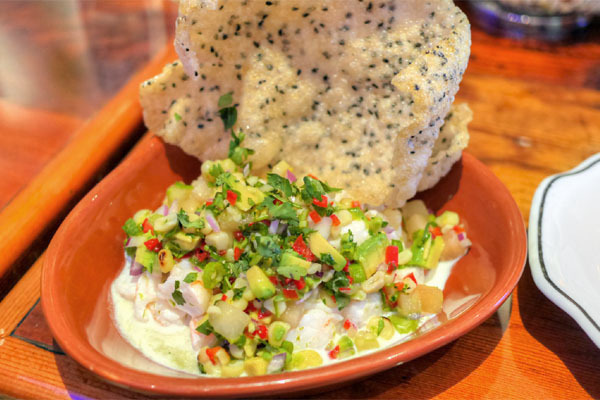 The Koreatown dining scene just got a little more interesting with the debut of Escala, a Colombian-themed eatery that opened at the end of April. The restaurant is the work of Bogotá-born artist/DJ/producer OG Chino, as well as Chef Chris Oh, whom we should all know by now from Seoul Sausage. Oh recently followed up his success on The Great Food Truck Race with wins on both Knife Fight (beating Beer Belly's Wes Lieberher) and Food Network's Cutthroat Kitchen. He also cooked in Vegas last month at the "Culinary Battles 2014: Supreme Asian Chef" competition, coming in behind Phorage's Perry Cheung. 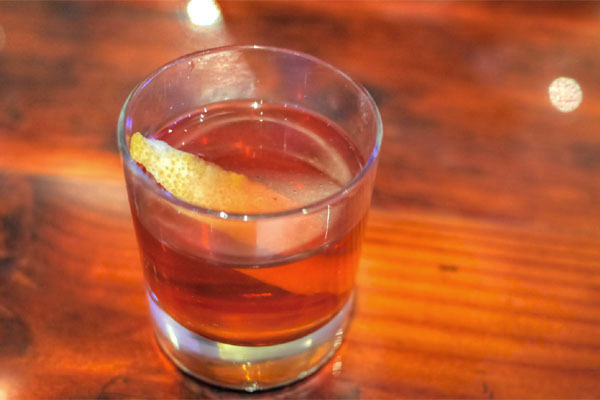 Escala resides at the Chapman Plaza address once home to Bohemian, an unexceptional bar known more for its skimpily-dressed waitresses than its food. The space has been completely redone and now features a vaguely South American sort of vibe, replete with plenty of art adorning the walls and a DJ booth (personally manned this evening by Mr. Chino). As for Escala's menu, you'll find a compact selection of smaller plates (and a couple large ones) that are pretty strictly Latin-influenced, with nary any Korean leanings from Oh. 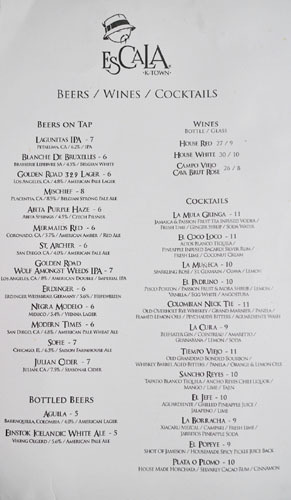 Meanwhile, to drink, you get some sodas, a couple house wines, 15 beers on tap, and cocktails from Bar Manager Aaron Melendrez (Ebanos Crossing, Cole's, Neat Bar). Click for larger versions. 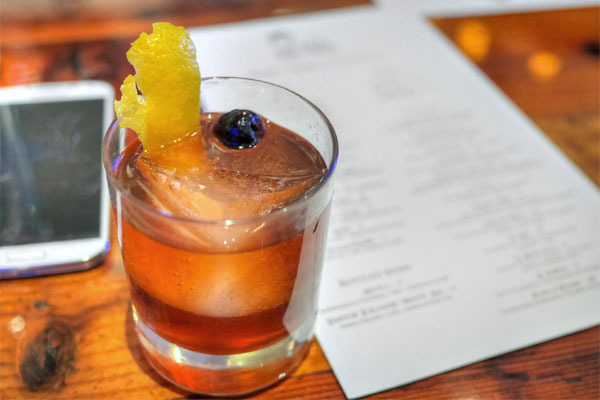 We began with Escala's take on the Old Fashioned, which had all your classic boozy, bitter, citrusy notes, but with a sweeter, more viscous character underpinning the whole drink (from the panela I gather). 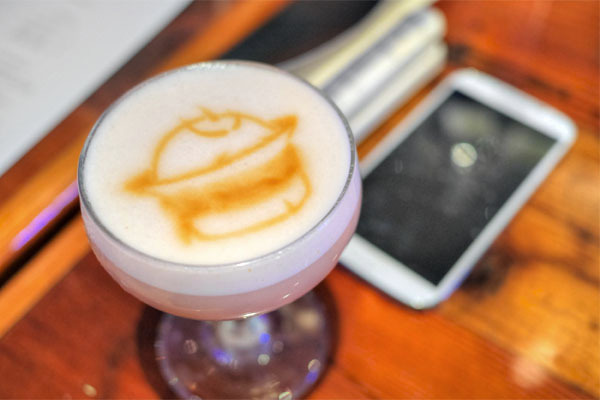 This next concoction, meanwhile, was akin to a Pisco Sour of sorts, one with the eggy, creamy nuances that you'd expect, joined by a fruity, floral tinge that really permeated the cocktail. 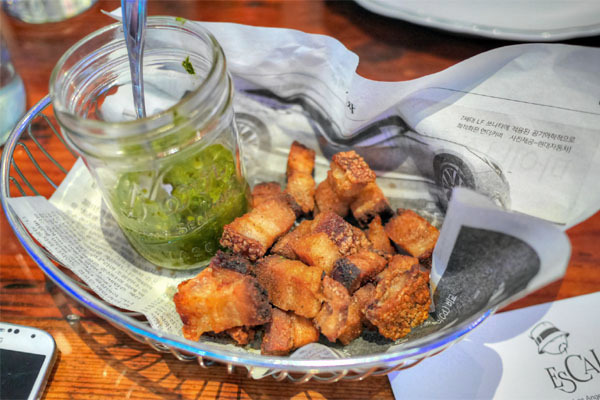 Cubes of rich, fatty, crisp pork belly formed a tasty start to the meal, delightfully savory little nuggets that were nicely set off by the dish's tangy, spicy condiment. 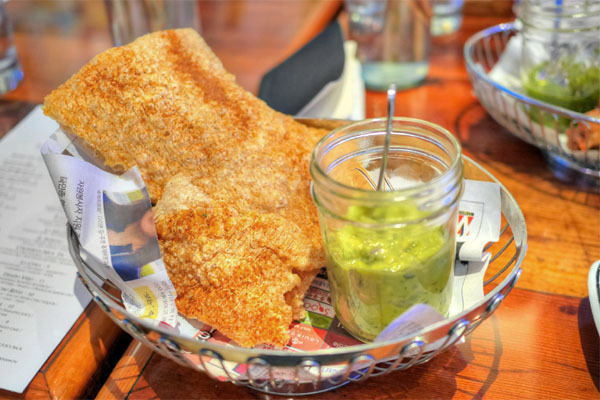 The guac was a winner, the creamy lushness of the dip deftly paired with the shards of crispy, salty chicharrón. Ceviche was pretty classic, showing off a restrained acidity and tartness moderated by the sweetness of the corn and pear ají. Some nice textures going on here, especially when taken with the sesame seed-laced chip. 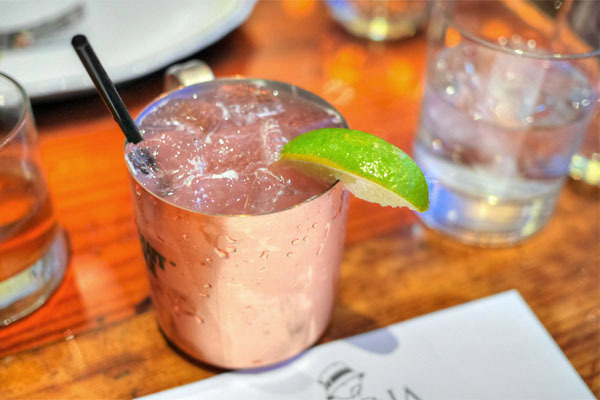 Escala's take on the Moscow Mule was tangy and refreshing, with a sweeter, more floral quality to it than normal thanks to the use of jamaica and passion fruit. Our last cocktail, meanwhile, was arguably the booziest of the bunch, with an intriguing bitter character, though we found it perhaps a bit one-dimensional at times. 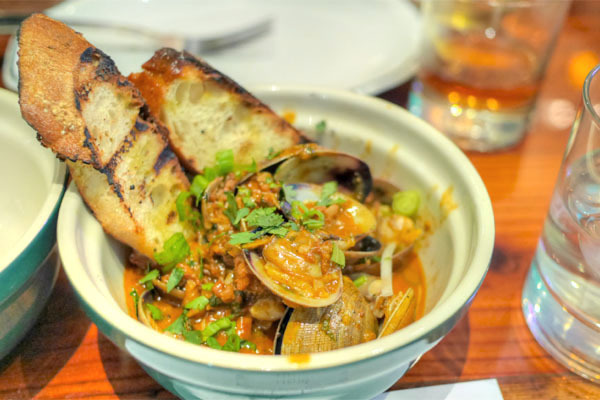 Chorizo added a salty, spicy counterpoint to the brine of the clams, the coconut imparting a whisper of levity to the mix, making for a pretty gratifying dish. 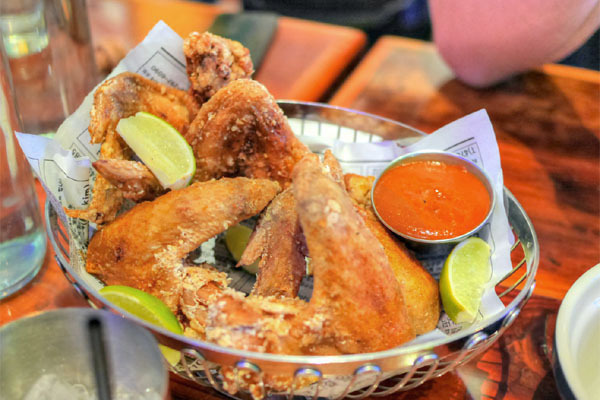 You can't go wrong with chicken wings, and the ones here were quite nice, crisp on the outside yet still moist inside, tasty alone, and even better when taken with the smoky sauce on the side. 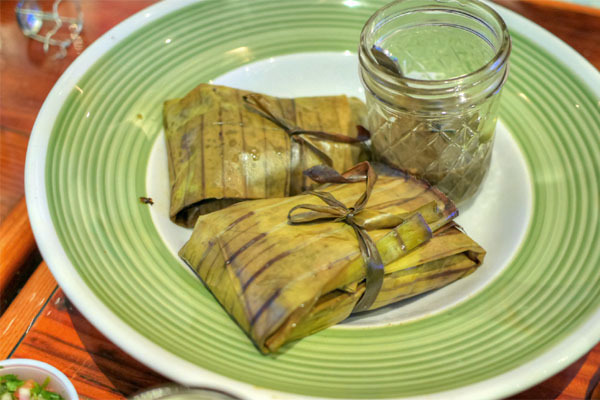 I enjoyed the tamales, their hearty, satisfying dough enhanced by the luxuriousness of pork belly, all while the tomatillo added a further hit of piquancy to the mix. 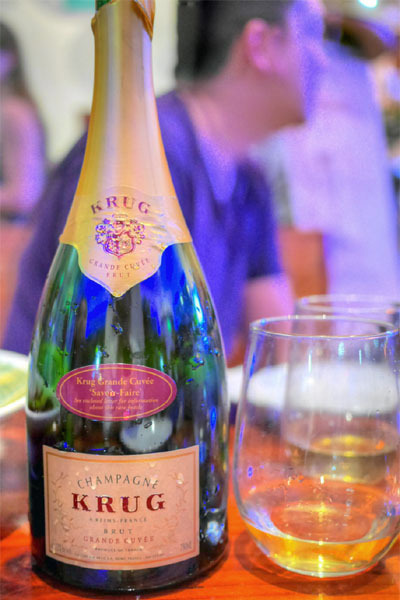 One of my dining companions was gracious enough to pop a bottle of Krug Grande Cuvée "Savoir-Faire", a 2001-era Champagne late-disgorged in 2007. Even in this notably poor vintage, the Krug still showed off its character, conveying its classic toastiness while retaining a mix of citrus and apple notes over a dry, somewhat weighty body laced with bursts of tart acidity. Drinking quite well now, though I'd be curious to see how this evolves. Empanadas were pleasing, a commendable preparation of the traditional dish tarted up by a drizzle of the tangy ají. 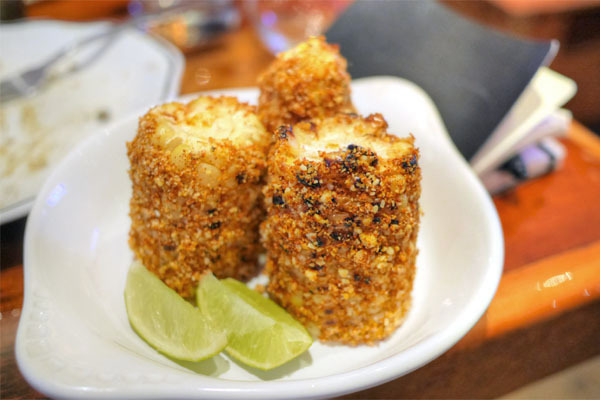 Corn, meanwhile, was creamy and imbued with a subtle bit of spice, though I wanted some more crispness on the individual kernels. 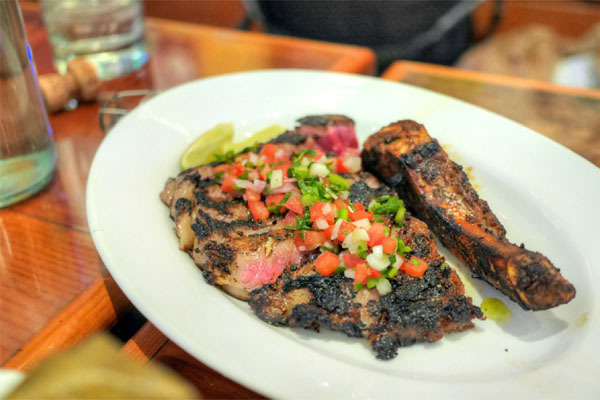 The night's pièce de résistance was an impressive looking cut of rib eye, one suitably beefy and with a strong char character evened out by the salsa fresca on top. However, parts of the steak were chewier than I would've liked, and the char was almost too strong is some spots, taking away from the experience at times. 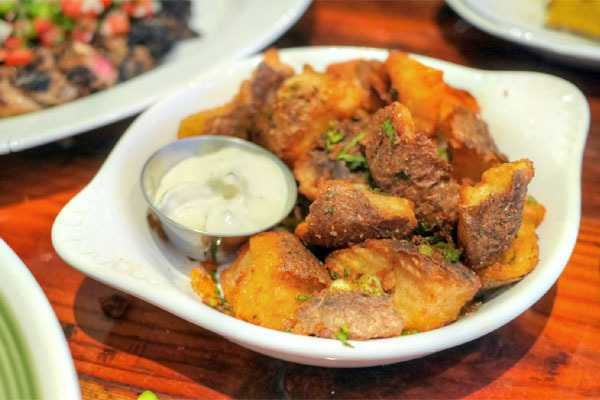 Our steak came with a plate of crisp, well-spiced potatoes that paired just swimmingly with the creamy sauce on the side. Escala's a welcomed addition to the K-Town dining scene that's definitely adding some culinary diversity to the area. The food was casual, but satisfying, and cocktails showed promise as well. At the same time though, I'd like to see the kitchen push things a bit further, to show off a more uniquely colombiano flair. 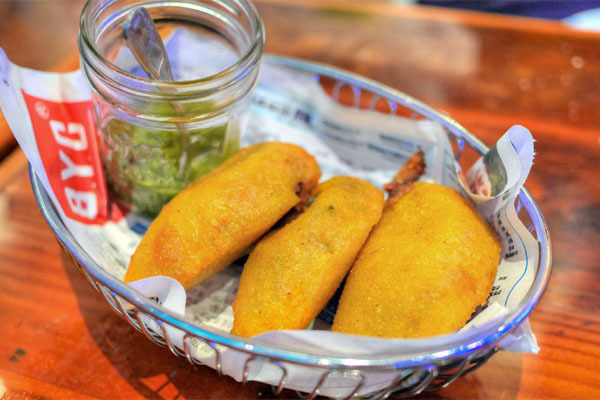 Ideally, we'd have some more uncommon items--think arepas--make their way onto the menu in the future. 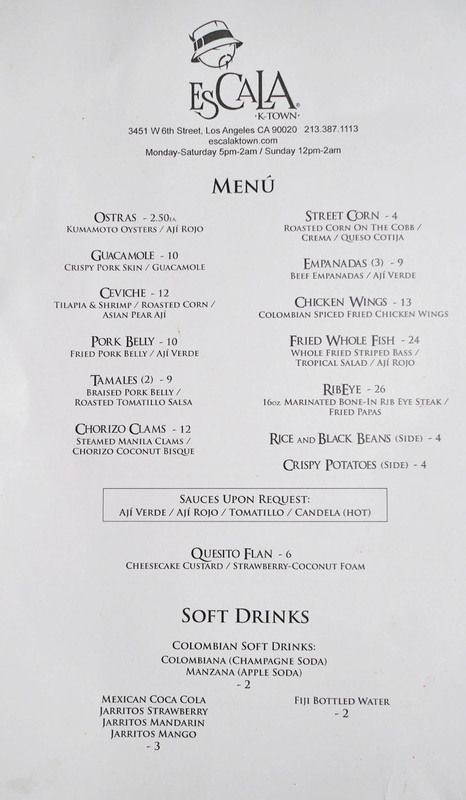 Colombian cooking is fairly poorly represented in LA, and I'd love to see that change starting here. 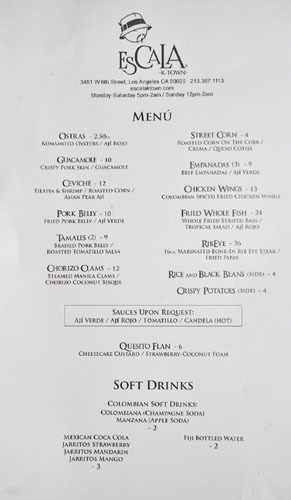 Wow this looks far more delicious than the menu reads! Lots of oil and fried things, not that that's a bad thing. 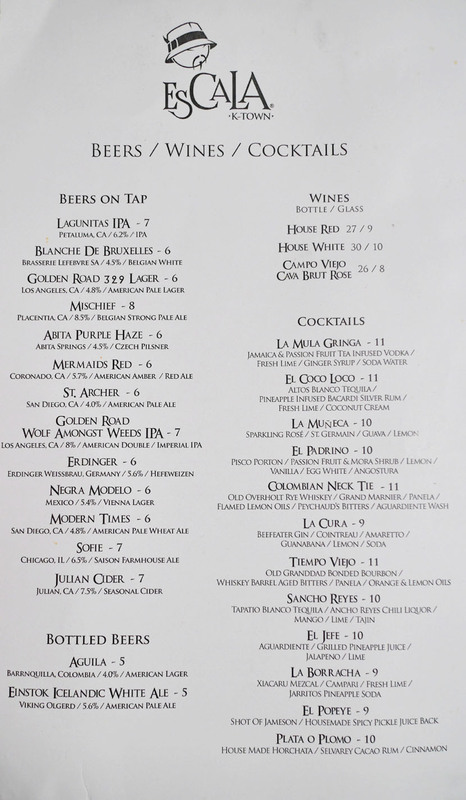 The cocktail list looks great too, with a couple solid beer choices. Will try!